Red earth: past and present. Gail Kendall professor emeritus University of Lincoln, NE takes the stage with David Eichelberger, Assistant Professor at Ferrum College in Ferrum, Virginia, unified with their love of earthenware and balanced by their contrasting surfaces. Kendall is influenced by the exhuberant pottery traditions of the 13th -18th century Middle East and Europe, while Eichelberger’s quiet style pulls from a more meditative place inspired to give the viewer pause. Kendall chose Eichelberger not just because he is a former student, but because she feels that while her work celebrates the potters of the past, his is firmly planted in the contemporary art realm. She hopes this blend of old and new will create new connections as well as sparks. Gail Kendall received her BSD from the University of Michigan and MFA from Eastern Michigan University. She spent a decade working in St. Paul, Minnesota as an studio artist. In 1987, she became a professor in the Department of Art & Art History at the University of Nebraska-Lincoln where she taught for twenty-four years. Kendall has also been a resident artist at numerous organizations including Spode Fine China Works in Stoke-On-Trent, England, The Archie Bray Foundation, and Anderson Ranch Art Center. Her exhibitions record extends at home and abroad and her work is in a variety of periodicals and books including Ceramics: Art and Perception (Australia) and Neue Keramik (Germany), Emmanuel Cooper’s “Contemporary Ceramics” (UK) and Masters of Earthenware, (US). Eichelberger received his BFA from Virginia Tech and his MFA from University of Nebraska at Lincoln. He has done several residencies including the Energy Xchange and Penland School of Craft in North Carolina. 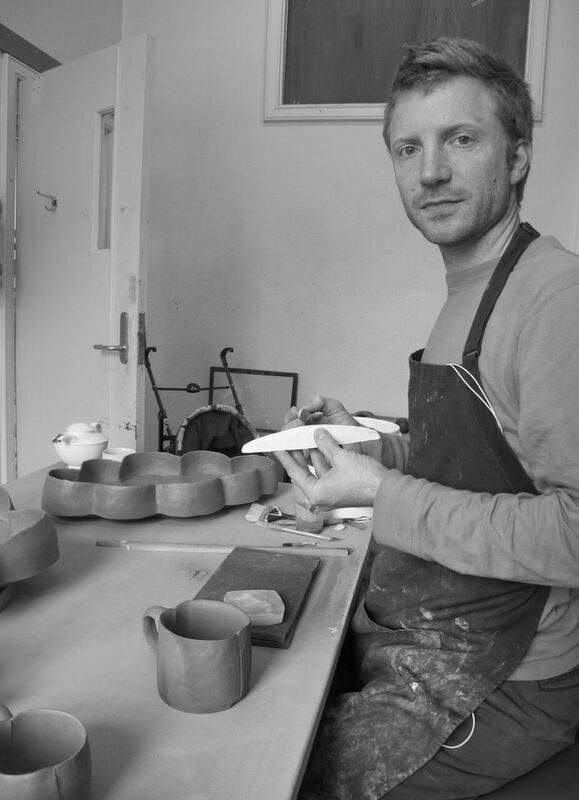 Besides his own studio practice and teaching, he co-creates with his wife under the studio name TWO|ONE Ceramics.